Grandparents definitely do have the experience, however as per the apes, parenting has also evolved over time. Here are 10 tips for Grandparents to get a grip of modern parenting. In the 1970s it wasn't uncommon for a pediatrician to send parents of newborns home with instructions to begin rice cereal during baby's first month. It was thought that infants needed the supplemental iron provided by fortified rice cereal. Today we know that most babies get enough iron from their mother's breast milk or from fortified formula. So no tasting treats until at least four months, please! In the 1970s, only 10% of infants were breastfed. In the 1980s, the number increased to a high of 35%. Thanks to education and advocacy, parents today have completely changed how they feed their babies. A whopping 77% of mothers currently choose to breastfeed. Pumping isn't always easy, and a lot more mothers are choosing not to use formula, so please don't be hurt or upset if you can't feed the baby right away. Due to many recalls, several accidental deaths, and millions of injuries, in 2010 drop side cribs were finally outlawed in the US. It is illegal to purchase or sell a drop side crib. While you may wish to pass down the crib you've been saving for a future grandchild, if it has a drop side, you're better off getting a newer, safer crib. The first year that all 50 states required infants and children to be restrained while riding in a car was 1985. Before that time most children sat on their parent's laps, were unrestrained, or used poorly-fitted lap belts. 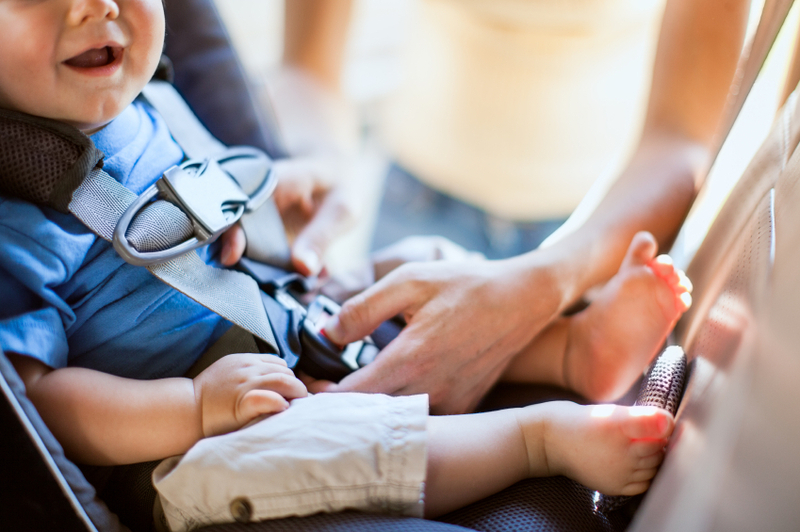 Today, car seats have to meet strict regulations to be safe for use. Also, if your car is a 2002 or newer, if you check your back seat you will discover a LATCH system to make car seat installation safer and easier. When you take your grandchild out for an adventure, not only do you have to get used to the new car seat styles, but you have to make sure that you keep him rear-facing until he is at least two years old. A 2007 study showed that infants and small children are 75% less likely to be severely injured in a crash when they are rear-facing. Don't worry about what he might miss out on seeing when riding in your car—safety is more important. Sudden Infant Death Syndrome, or SIDS, is every parent's (and grandparent's) worst nightmare. In 1994 a campaign called Back-to-Sleep was started to help reduce SIDS-related deaths. Since then, death rates in the United States have fallen by 50%. Put your grandchild down to sleep on her back to keep her airway open and her face free from possible suffocation hazards. We also don't use pillows, blankets, or place stuffed animals in cribs either, unless baby is fully mobile. In 1994 baby walkers were still very popular; they were also the number one cause of infant injuries. In 2004 Canada banned walkers from use entirely, but they are still available for sale in the US. Better choices are Jumperoos or Exersaucers when you need to keep your grand-baby safely entertained. We know that you didn't do much to childproof your house when we were little and that somehow we survived—standards are different now. Outlets should be covered, cabinets should have locks, doorknobs should be covered, TVs should be strapped down, and anything breakable should be moved well out of reach or put away for a few years. Childproofing kits are inexpensive and install easily, plus they offer peace of mind. A couple of decades ago it wouldn't have been unheard of for a neighborhood mom to swat somebody else's kid on the bottom if they deserved it. If that happened today the neighborhood mom would be facing extensive jail time. Positive reinforcement of good behaviors coupled with a Time Out when needed is more typical of how children today are being raised.